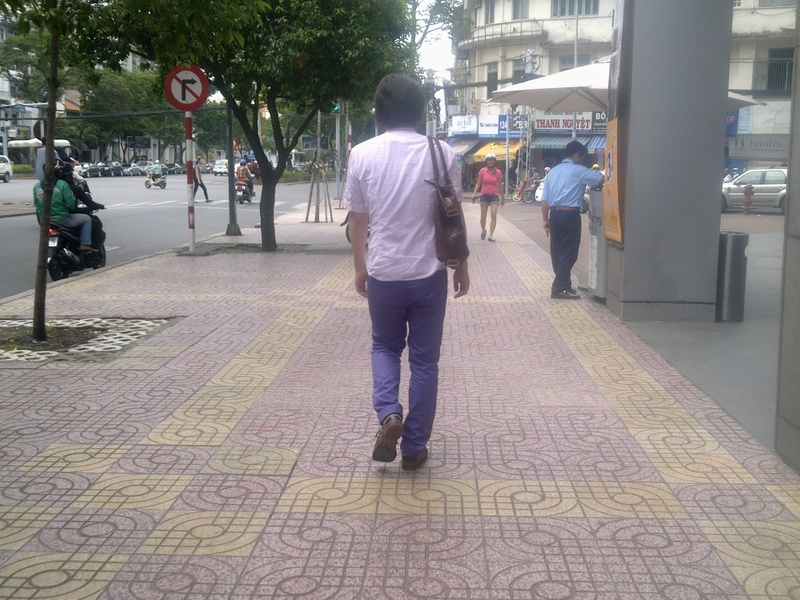 Real Men Wear Pink (and Purple) | Hello Saigon! hello saigon, i'm pleased to meet you. i'm a restless wanderer. what's here to do? take me for a ride in your motorbike. show me your secrets. show me the life! I don’t know about you but I liked this guy’s style. Taray! This entry was posted in Seen in Saigon. Bookmark the permalink. Where to buy electronics in Ho Chi Minh City?